sonnen charged into the Solar Power International (SPI) show in Anaheim, California, this week with its new ecoLinx home energy management system. ecoLinx takes residential energy management to the next level by stretching beyond energy storage into management of key loads in ways that were previously not possible thanks to direct integration with Eaton’s smart breakers and a home automation solution. ecoLinx has an integrated inverter that was designed to play nicely with the DC feed from a photovoltaic (PV) solar array as well. Pulling the energy generated from a rooftop PV system into ecoLinx allows it to decide whether to store the rooftop PV energy or convert it to AC to power the home, depending on the load and generation profiles at the time. That is the basic function of just about any home energy storage system today. ecoLinx, however, is much more than just a dumb battery that stores power from the sun and doles it out as needed. It can do that, but it can also do so much more. The differentiation starts with some good old-fashioned integration with Eaton’s smart breakers. 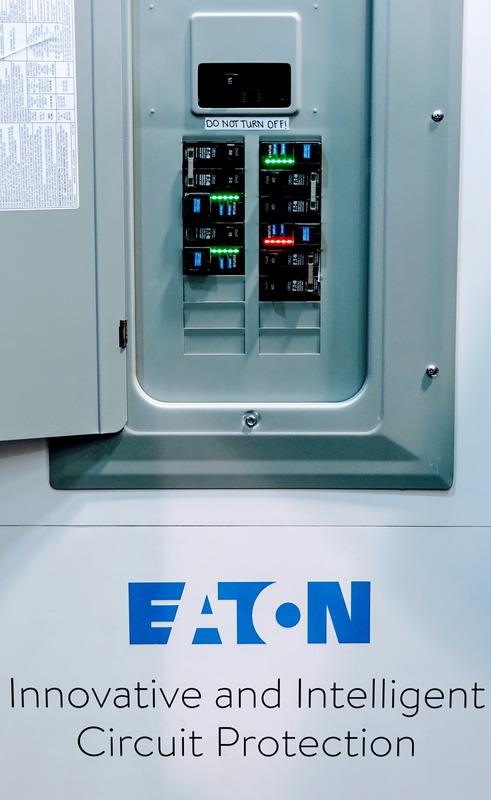 Eaton’s breakers allow ecoLinx to manage loads at the panel by querying the status of individual breakers and even throttling their usage up or down as needed. The ability for ecoLinx to manage and throttle loads at the panel level gives ecoLinx the ability to see and control all of the loads in the house, but sonnen was not content to stay at the breaker level. 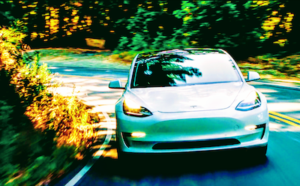 Inspired by charismatic senior vice president Blake Richetta, who comes from 15 years in the home automation space at Lutron as well as a term over in Tesla Energy’s Powerwall division, sonnen extended the reach of ecoLinx for some truly granular control of the loads in the home. This has been accomplished through direct integration with two of the leading home automation companies — PanTech Design and Cinegration. sonnen’s team of engineers worked directly with PanTech and Cinegration to fully integrate with the two equally capable home automation systems, PanTech and Cinegration. If you’re like me, you’re probably asking what home automation has to do with home energy management. Control4 Home Automation Front End. Image courtesy of sonnen. sonnen and the experts at PanTech Design and Cinegration walked us through their demonstration setup at SPI 2018. It features a host of technologies that leverage the cloud for a truly integrated experience. Cloud connectivity gives the system visibility into weather, which is one of the key contributors to home energy consumption. We turn the lights on when it gets dark, we turn the air conditioning on when it gets hot, and so on. sonnen tapped into weather forecasts from several sources to create its Smart Weather Monitoring to look for events that could impact txhe home. In short, integrating the home energy management that sonnen is known for with home automation allows the sonnen ecoLinx to play nicely with the home automation system in ways that save energy. It can save energy by responding to weather events, by intelligently balancing and conserving energy when the power goes out or enabling the homeowner to shut off the thermostat remotely while out of town. The light bulb went off for the crew over at sonnen, and thanks to Blake’s unique insight into the industry, he saw the opportunity to pull all of these technologies together into a single intelligent home energy management system that, for the first time, can intelligently manage the energy consumption in the home without the need for the homeowner to close the blinds, lower the set point on the thermostat, or dim the lights to save money. 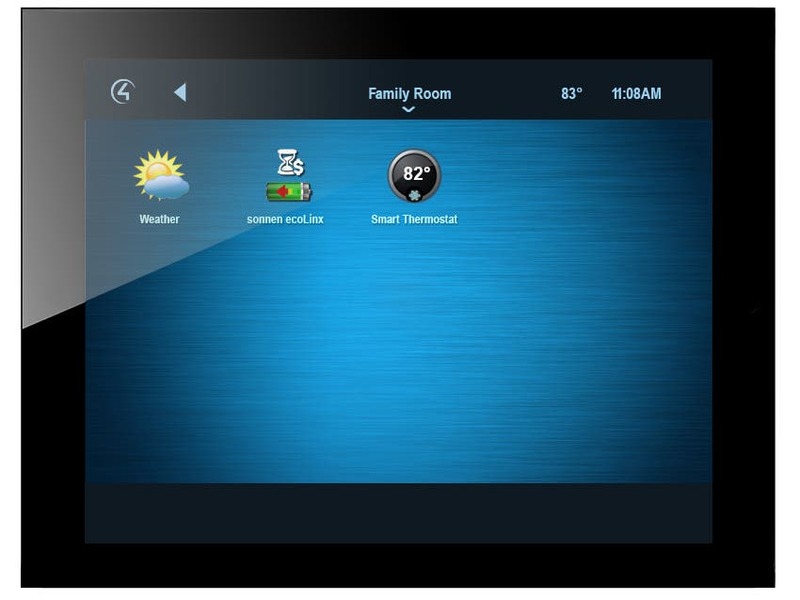 Crestron Home Automation Front End. 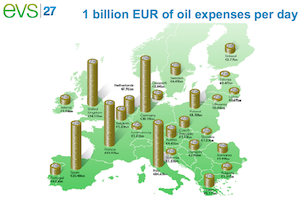 Image courtesy of sonnen. This is best demonstrated if you think about the implications of an extreme weather event. Last year, the area we live in was under siege by wildfires that, bolstered by fierce winds, ravaged the county. The weather event could be something like this, or the hurricanes that recently thrashed the east coast of the US. When the sonnen ecoLinx sees an extreme weather condition, it prompts the homeowner to take action. For example, if a storm is detected, ecoLinx’s Smart Weather Monitoring system will ask if the homeowner wants to fill up the battery as fast as possible to ensure the maximum stored power is available in the event that a storm takes out a power line. If the user doesn’t respond, ecoLinx takes the recommended action and prepares the system for the hurricane. 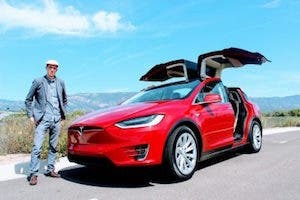 That response is not limited to the battery, but thanks to its integration with the home automation system, it is also able to throttle the demand of the home down in order to maximize the amount of energy available to charge the battery. Things like dimming the lights are easy, and the system can also adjust the thermostat, refrigerator, and washing machine by tapping into functionality of the Eaton smart breakers. The trigger from ecoLinx will also lower the blinds to prepare the home for a storm, in the event that there is a direct hit on the home. In a more benign example, if ecoLinx detects that the sun will be shining for most of the afternoon, it can lower the blinds and raise the set point of the thermostat a few degrees when the homeowner isn’t home to save power. These actions can all be programmed based on the preferences of the homeowner to optimize the home energy usage. ecoLinx also responds reactively to events like a power outage, but because of its integration with Eaton’s smart breakers, it is able to do much more than just backup a critical loads panel. ecoLinx starts off by offering the homeowner a few options for backup. The homeowners can continue running the entire home from the battery, but for a shorter period of time, they can turn off non-essentials or they can run just the critical loads off of the battery. Because the smart breakers are cloud-connected and remotely controllable, loads can be dynamically turned on or off at the main panel via the breakers. 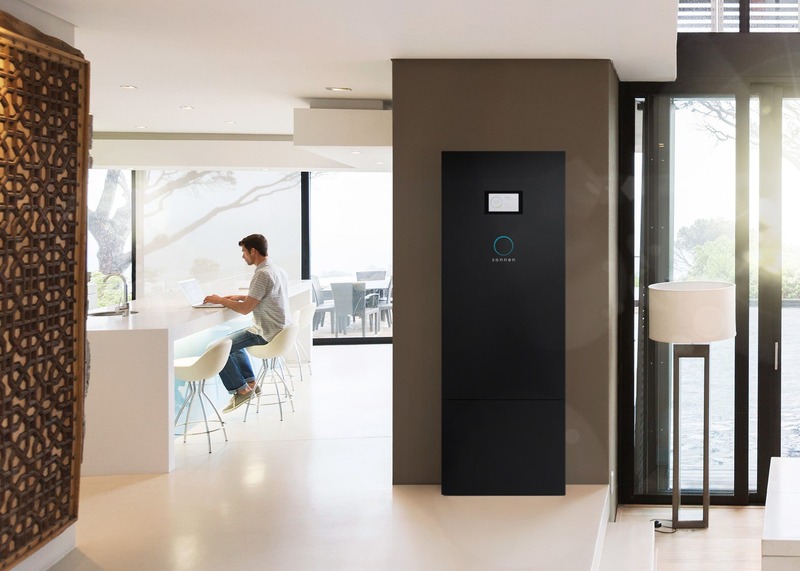 This is flexibility that we have not seen on any other residential energy storage unit and one that highlights a key advantage of sonnen’s current implementation. The reliance on Eaton’s smart breakers is brilliant and one that I would expect other residential energy storage companies to copy in the coming years. For now, it’s exclusive to sonnen. That starts to get interesting when you think about dedicated loads like a circuit dedicated to a 30 amp electric vehicle charger. 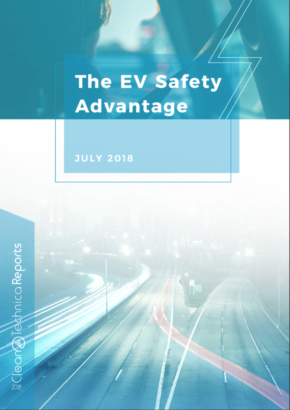 Why buy an EVSE with all sorts of demand response, dynamic rate adjustments and the like when the same functionality can be handled at the circuit level by sonnen’s ecoLinx? 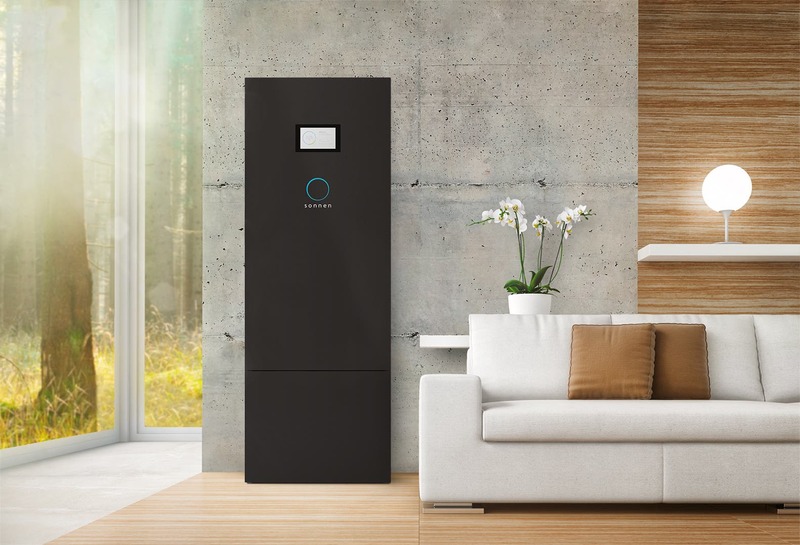 ecoLinx takes it up a notch by blending the demand from the EVSE with all of the other loads in the house, pairs it with storage, and offers that up to the grid as a flexible load. It’s interesting to manage the draw of loads inside of a house, but what’s better than that is aggregating tens, hundreds, or thousands of homes into a large demand-response unit and offering that up to the local utility as flexibility. sonnen’s ecoLinx promises to do this in spades for its customers and is already moving aggressively in that direction with a 3,000 home installation at the new Mandalay development in Prescott, Arizona. 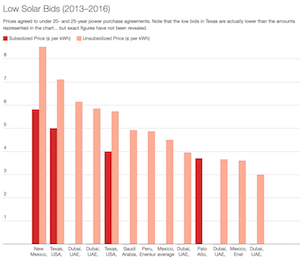 An agreement between sonnen and Mandalay will see sonnen batteries and rooftop solar installations added to all 3,000 homes in the development at an extra cost of between $10,000 and $20,000 each. As the homes are built, they will be folded into a new virtual power plant that sonnen will manage that will have a total of 8 megawatt-hours of electricity storage when complete. That’s enough to power 5,000 homes for a day, according to Reuters. The plan is to make that power available to the local utility, for a fee. The list of benefits from installing sonnen’s ecoLinx goes on and on, including the option to maximize self-consumption from a rooftop solar installation, time of use management, and nearly endless iterations of hardware and software tweaks on the home automation side of the house. Solar Power International is the show each year for solar, storage, and supporting industries to bring their latest and greatest. It’s typically packed with booth after booth of incremental improvements bundled together under the latest marketing glitz to get installers excited and customers asking for the newest thing. It’s a rare occasion when a new technology or solution comes to the market that represents a step change improvement over everything else on the market, but the sonnen ecoLinx has truly raised the bar for the entire storage industry and it’s a beautiful thing to behold. The other thing that’s oh so common at industry shows like SPI is companies showing off technologies that are coming. 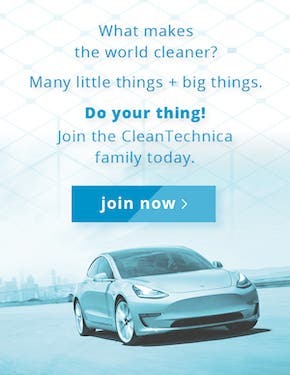 That’s a pet peeve of mine, as I’ve seen enough concept electric vehicles and next-generation inverters to choke a cleantech horse many times over. So I was happy to see that sonnen’s suite of tech that it brought to SPI is not only game changing … it’s actually ready for customers today. This stuff works and you can buy it. No, I’m not selling it … but this is one of those products that’s just that good. sonnen put together the video below as an intro to ecoLinx that ends up feeling more like a trailer for a movie about World War 3 or an imminent world catastrophe. Just the same, it manages to convey quite a bit of information about ecoLinx along the way and is likely worth a few minutes of your time. For more info about sonnen’s ecoLinx, head to the company’s official site. To learn about Eaton’s smart breakers, do the same for theirs. And finally, to learn about the two home automation offerings that are integrated with sonnen’s ecoLinx, just click your way on over to PanTech Design’s Adapt Suite.